When Should A Case Be Remanded To A Different Judge For Resentencing? In a nonprecedential summary order in United States v. Mangone, No. 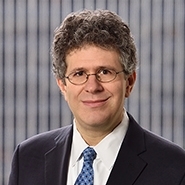 15-4057, the Second Circuit (Hall, Lynch, Chin) vacated the eighteen-month prison sentence of Westchester attorney Anthony Mangone and remanded Mangone’s case to the U.S. District Court for the Southern District of New York (McMahon, J.) for resentencing. Mangone had pleaded guilty to conspiracy, bribery, extortion, and tax evasion relating to a highly publicized real estate and political corruption scandal in Yonkers. The Second Circuit vacated Mangone’s sentence on the ground that the district court committed clear procedural error, having calculated the applicable U.S. Sentencing Guidelines range at 37–46 months’ imprisonment, while the correct range was only 30–37 months. Although the district court imposed a prison term below the lower of those two ranges, the Second Circuit concluded that resentencing was nonetheless required as “an incorrect calculation of the applicable Guidelines range will taint not only a Guidelines sentence … but also a non-Guidelines sentence, which may have been explicitly selected with what was thought to be the applicable Guidelines range as a frame of reference.” The remand for resentencing was not controversial—in fact, the government had agreed that the district court committed reversible error and had consented to a remand. Instead, what renders the Court’s order noteworthy is its analysis of Mangone’s request that his case be reassigned to a different district judge, on the ground that Judge McMahon exhibited bias in some of her comments at sentencing and would be unable to issue an impartial sentence on remand. Such requests for reassignment are infrequently made and even less frequently granted. But while the Mangone Court did decline to reassign Mangone’s case, it took Mangone’s request seriously and evidently was troubled by certain of the comments the district court made during Mangone’s sentencing. Because contentions of impartiality are ordinarily given the back of the hand, oral argument drew some attention from the legal press. See, e.g., Pete Brush, 2nd Circ. May Let New Judge Resentence ‘Dirty Lawyer,’ Law360 (June 3, 2016, 3:48 PM), http://www.law360.com/articles/803509/2nd-circ-may-let-new-judge-resentence-dirty-lawyer (observing that “[t]he Second Circuit appeared potentially willing” to have Mangone resentenced in front of a new judge after the district court made strongly worded comments regarding Mangone’s “‘truly pathetic’ conduct” and “the conduct of other ‘dirty lawyers’”). Noting that Mangone’s request gave it “some pause,” the Court identified two lines of “intemperate” commentary by the district court that gave some credence to Mangone’s claim of bias. First, in discussing the seriousness of Mangone’s crimes, Judge McMahon used strong, personalized language, stating that his crimes made her “physically ill” and that she took crimes committed by lawyers “very personally” as members of her family and many of her personal friends are lawyers. Such language suggests that the district court may have felt personally invested in the outcome of Mangone’s case. Second, in discussing Mangone’s plea bargain, the district court appeared critical of the government and noted that the government had struck a questionable deal that potentially violated the policies of the United States Attorney’s Office. In the end, however, the Second Circuit determined that reassignment was unnecessary, concluding that the district court’s comments were “best taken as a rhetorically emphatic way of expressing a legitimate negative view of [Mangone’s] conduct,” and that any criticism expressed toward the government did not appear to influence the court’s view of the appropriate sentence. Rather, “it was the court’s belief that a serious sentence was called for that led it to be critical of what it took to be the government’s different view of the case.” The Court explained that “a reasonable observer” would not conclude “that the sentence was influenced by personal considerations rather than by dispassionate analysis.” The fact that a district court might express itself with colorful language does not itself prove even an appearance of impropriety. While the Second Circuit ultimately declined to grant Mangone’s request for reassignment, the fact that it engaged in a substantive analysis of the district court’s “overly emphatic expression” of its personal views indicates that the Court struggled to some degree with this decision. Bias is a particularly sensitive issue as a district court not only must display impartiality in fact, but also must convey the “appearance” of impartiality in order to maintain the legitimacy of the judiciary in the eyes of the public. See United States v. Awadallah, 436 F.3d 125, 135 (2d Cir. 2006) (denying motion for reassignment even where the district court repeatedly ruled against the government on many issues, including one ruling that was reversed in a prior interlocutory appeal, and where the district court made public statements that appeared to criticize the government’s prosecution). This summary order, and the Court’s admonition that district judges must take care to avoid excessively personal remarks, is a useful reminder that while reviewing courts are reluctant to accuse district judges of bias, the Second Circuit will do so where the circumstances demand. In most cases that result in assignment to a different district judge, reassignment is ordered based on the risk that a “reasonable observer” of the proceedings “might infer, however incorrectly” that ethnicity played a part in the district court’s sentence. United States v. Kaba, 480 F.3d 152, 157 (2d Cir. 2007); United States v. Leung, 40 F.3d 577, 587 (2d Cir. 1994) (holding that “the able and experienced trial judge in fact harbored no bias,” but adding that “justice must satisfy the appearance of justice” (internal citation and quotation omitted)). Mangone indicates that the Circuit will also consider other types of bias allegations; while such arguments may seem extreme, they may not always be futile.